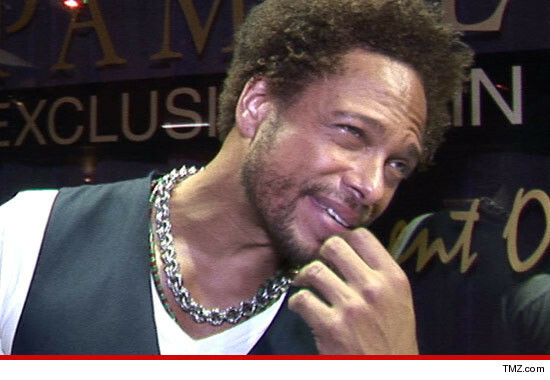 Former "CSI" actor Gary Dourdan will not go to jail for allegedly breaking his ex-girlfriend's nose during a domestic violence incident back in 2011 ... but he WILL have to stay the hell away from the victim. We broke the story ... Dourdan was arrested in November, 2011 following a fight at Dourdan's home in Venice, CA. Now, we've learned Gary struck a deal with prosecutors in which he agreed to enter a no contest plea ... and in exchange will not serve any jail time. However, Dourdan has been placed on 5 years formal probation, has been ordered to complete 52 weeks of domestic violence counseling and has been ordered to stay away from the victim for 5 years. Dourdan -- who has a history of drug problems -- was also ordered to undergo drug counseling.